FLORASSIST Throat Health is an oral probiotic used for normal bacterial balance in the throat. FLORASSIST Throat Health is recommended for those wishing to provide natural support for throat. 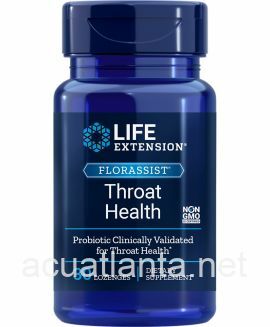 Life Extension FLORASSIST Throat Health is an oral probiotic that provides novel beneficial bacteria to colonize the throat and control harmful, unwanted bacteria. Just one lozenge of FLORASSIST Throat Health contains 20 mg of BLIS K12, a proprietary oral probiotic known as S. salivarius K12, which delivers 2 billion colony-forming units. FLORASSIST Throat Health, naturally flavored with spearmint and cherry, can significantly protect throat health and ease inflammation. As a dietary supplement, dissolve one (1) lozenge in mouth daily, or as recommended by a healthcare practitioner. FLORASSIST Throat Health product is available only from licensed healthcare professionals. 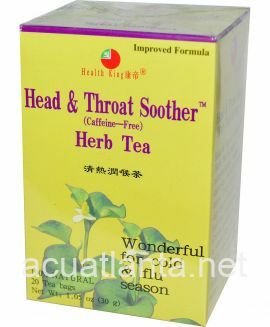 Buy FLORASSIST Throat Health Online here at AcuAtlanta.net or our clinic. Customer who purchased FLORASSIST Throat Health 30 lozenges online also bought the following products which may be of interest to you.